Nahargarh, the name literally translates to abode of the tigers. The Nahargarh Fort is a resolute fortification on the ledge of a cliff, built in such a way that it overlooks the entire view of the city. Located in the Pink City of India, Jaipur, it served as a defence strategy to have an advance notice of any invasion over large stretches before the enemy could even reach the area surrounding the fort. Also due to the high elevation of the fort, its defending armies and soldiers were always at an advantage over the enemies. Dating back to 1734, the year it was built by Maharaja Sawai Jai Singh, the palatial fort initially was designed to serve as a royal retreat away from and above the city. 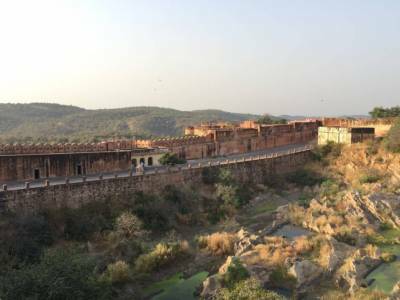 Connected to the Jaigarh fort slightly above it through a hidden passage underneath, they formed a combined fortified wall stretching over a considerable length to protect the inhabitants from attacks from invading armies. 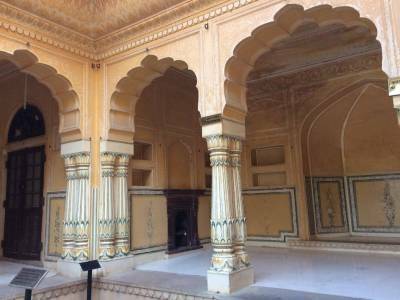 However, the Nahargarh fort was not always referred to by the same name. The original precursor to the present name Nahargarh was Sudarshangarh, which was derived from the name of the weapon of protection used by Hindu God Krishna to slay an invincible demon guilty of many sins. It also utilized another meaning of the word Sudarshan to suit the nomenclature of the fort. Sudarshan means Divine Vision and suitable with the elevation of the fort and it situated right on the ledge of the cliff it stands on, it is a platform of divine vision for its inhabitants to ward off attacks from enemies. It was renamed Nahargarh in honour of Nahar Singh Bhomia, a young Rathore prince who met an untimely demise. When the Maharaja was proceeding to build the Nahargarh Fort, by tried and tested methods he realised that the property on which he was building his fort was holy dwelling place of the spirit of the young prince and he did not take kindly to unannounced intrusion to his dwelling space. So in order to seek his consent and keep the spirit at peace, they constructed a temple within the palace to pay homage to dead prince and renamed the fortress palace Nahargarh as a mark of honour. 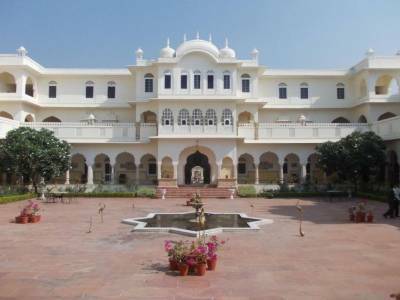 Designed as a recoil retreat for royal woman, the palace within the fortress is intricately designed with amazing attention to detail and resplendent of a unique Indo European style of architecture introduced especially at the behest of the Maharaja Jai Singh. 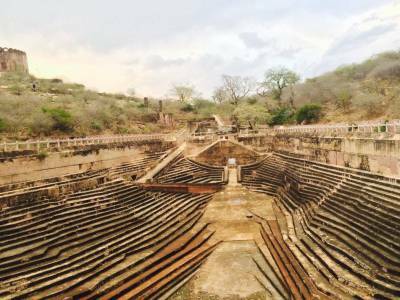 Get quick answers from travelers who visit to Nahargarh Fort.